Medical Conditions Doreen suffers from severe allergies, which occasionally cause her throat to swell. Distinguishing Characteristics Caucasian female. Brown hair, green eyes. Doreen has a pale, freckled complexion. One of her front teeth is capped and she has pierced ears and a large chicken pox scar on the front of one of her calves. Her maiden name is Dobson and she has a strong Massachusetts accent. Doreen was last seen in her home on Hartford Avenue in Johnston, Rhode Island on March 29, 1990. She disappeared from there and has never been heard from again. She had a poor relationship with her husband of seven years, Stephen Marfeo, and had quit her purchasing director job at the Rhode Island School of Design to work on their marriage. On the day of Doreen's disappearance, Stephen took seventy-minute lunch break from work. His lunch breaks were usually only twenty to thirty minutes. He claims he went home, ate lunch with Doreen, and went back to work, and when he returned home at 4:00 p.m. that day she was gone. Doreen was supposed to call her mother on the day of her disappearance; she did not. Stephen said packed a suitcase with a week's worth of clothes and took $600 from the safe when she left their home. She did not, however, take her 1984 Ford Tempo, her toothbrush, her hair curlers, her two pet cats, or any of the $50,000 in her and Stephen's joint bank accounts. There was no sign of a struggle at the residence. Stephen did not report Doreen missing for two days. At the time of her disappearance, he suspected she was having an affair and had hired private detectives to follow her. There is no evidence that Doreen was actually being unfaithful, however. Investigators do not believe Doreen left of her own accord; they think Stephen murdered her. Her family says she was close to them and would never have left without contacting them. In June 1990, police received two typewritten letters. 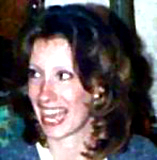 The first one stated that Stephen had strangled Doreen on the day of her disappearance and dumped her body in a pond in Providence, Rhode Island. The second letter accused Doreen of having affairs with some of her co-workers, men which the letter identified by name. Both letters were typed on a typewriter from Stephen's mother's house; authorities believe Stephen wrote them, although the letters referred to him in the third person. When the police confronted Stephen about the letters, he hired an attorney and stopped cooperating in the investigation. Nine years after Doreen's disappearance, in 1999, Stephen told his family members he was going on vacation to straighten out his life. Shortly after he returned, he shot his estranged girlfriend to death and seriously wounded her new boyfriend, then drove to a secluded reservoir in Connecticut and shot himself in the head. He left a suicide note for his mother which referred to his feelings of guilt about Doreen's disappearance but did not say what happened to her. Stephen was never charged in connection with his wife's disappearance, but investigators believe he was responsible. Doreen's mother, however, describes Stephen as a kind and supportive man; she does not believe he was involved in her daughter's disappearance. Some agencies state that Doreen disappeared on March 30, 1990. Updated 1 time since October 12, 2004. Last updated May 3, 2008; two pictures added.